Comment: I seen a skunk run under a shed in my backyard. Probably has a home there. Comment: Looking to have my 2500 sq ft home sprayed to kill and prevent bees, wasp, hornets, and all the other bugs/insects that are going to try to hide for the coming winter. My home has a walkout in the back. Also, I have a cedar Playset that should be sprayed. Comment: I have a bee/wasp nest in my chimney area inside of my home. I believe there may be a second nest at another part of my home. Comment: I have a few bales of hay remaining in my horse barn that have become a home to a not so nice colony of wasps. I need to clear this hay out so I can get a new load in to last me through the winter. Im down for either extermination or removal. Dryden Pest Control Services are rated 4.44 out of 5 based on 501 reviews of 8 pros. 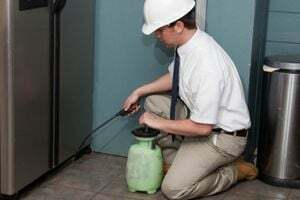 Not Looking for Pest Control Contractors in Dryden, MI?